We welcome Arthur Smith @LEDwatcher to DesignFixHome.com as our guest blogger. Illuminating your house in a way that is effective, economical and elegant is not nearly as simple as it looks. Ignoring certain considerations can end up wasting you a lot of money on electricity bills, it can also leave you with unsightly and inconvenient dark spaces. Here are the top home lighting mistakes to avoid when planning your home’s lighting scheme. And check out this article for even more information on different home lighting solutions. It seems pretty obvious, but this is actually one of the most common rookie mistakes out there! Hanging a tiny chandelier or lamp over your dining table or kitchen workbench simply isn’t going to give you enough illumination in these areas. In the same vein, you don’t want to be flooded with light when your purposes only require a much more modest amount of illumination. Therefore properly plan your lighting scheme beforehand, and avoid choosing the wrong sized lighting fixtures. Here’s a handy formula for selecting the right size chandelier. 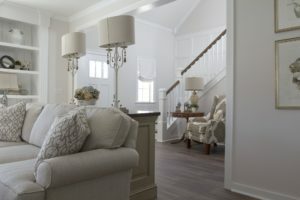 This is another common home lighting mistake – by installing only one lighting source in a room it is obvious that some areas will be left dark. Always try to strike a balance between different forms of lighting – overhead task lights, and lower placed ambient and accent lights (also see recessed lights, below). A good combination will provide the most optimal level of illumination. This kitchen/family room illustrates a balanced use of multiple light sources. To the beginner, it may seem that installing multiple recessed lights around your ceiling will solve the problem of shadows and dark areas. But no matter how many downlights you place up there, they will never illuminate the walls, and the light reflected from the walls is what is required to properly light up the room. If you opt for only installing recessed lights in a room, you will end up wasting a lot of money on power bills – and some areas will remain steadfastly dim. For the best results, combine recessed lights with other sorts of lighting, for example floor and wall lamps, pendants and chandeliers, etc. 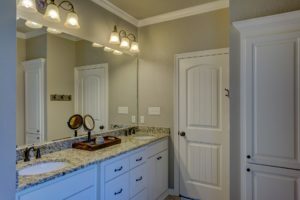 Everything is good only in moderation and the same is true of task lights like under-the-cabinet kitchen lights or wall sconces placed on either side of your bathroom mirror. Not only effective in illuminating their surroundings, they look elegant. 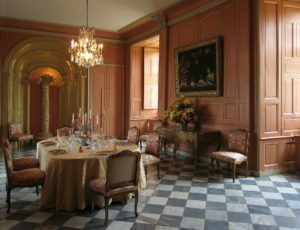 But if used to excess, they will make the room seem over-cluttered and decidedly in-elegant. Once again, plan out your home lighting scheme properly in advance, and use task lighting only where it is really needed. 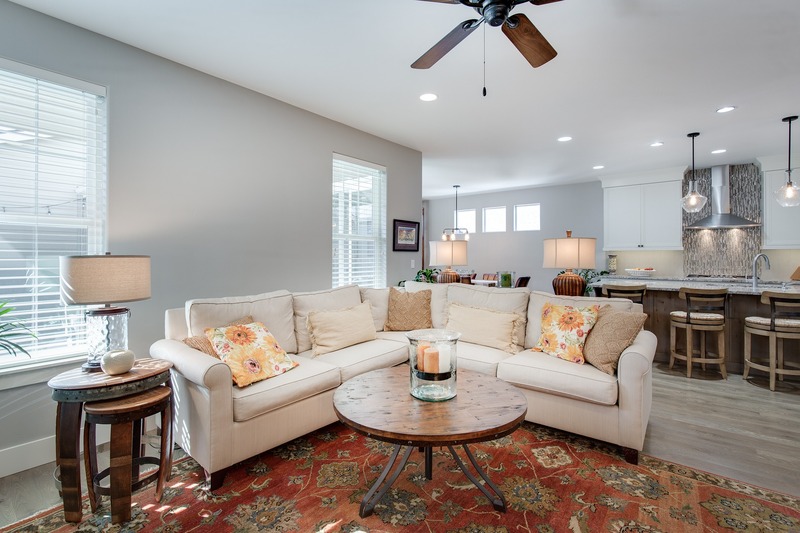 Choosing the wrong sort of light fixture can destroy the entire look of your house, creating an uncomfortable, alienating atmosphere in your own home. To avoid this unwelcome possibility, select the right fixture for the right room – and by ‘right’, think about color, size, materials and whether they fit in with the overall decor and theme of the room, and of course light output. In the living room below, tall lamps placed on a sofa table serve as a room divider. 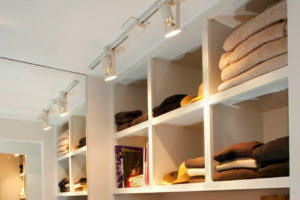 It’s easy to overlook the lighting requirements of small spaces like pantries, closets and larders. Often they contain a sole overhead light, which as we have seen will inevitably leave shadows and dark spots. Not very useful when you want to find something in the pantry etc! 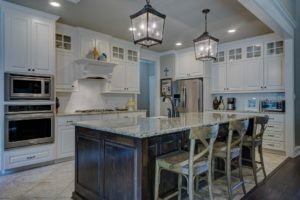 Once again, in addition to overhead lighting, employ alternative light sources like under-the-cabinet lights, and LED strip lights and lighting bars along the walls. 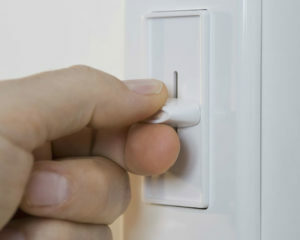 Lastly, installing dimmers, especially on your incandescent lights, will save you a lot of money, and also gives you the flexibility to change the mood and atmosphere of a room. Arthur Smith has been working in the LED and solar lighting industries for many years now, learning everything he can about lights and how best to use them to illuminate your space. Now he runs his blog www.ledwatcher.com, where he covers everything from solar lamps and their use to lighting tips and tricks for any situation. You can find Arthur on Twitter and Facebook @LEDwatcher. DesignFix is a Silicon Valley home design + functionality partnership that combines color and engineering expertise to quickly maximize the beauty and usefulness of your home.